8-ounce, 50/50 cotton/poly NuBlend™ preshrunk pill-resistant fleece. 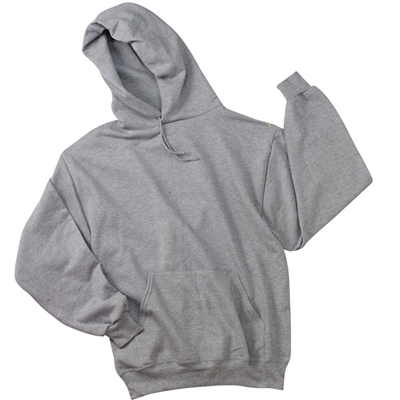 Two-ply hood with grommets and dyed-to-match drawcord with spandex in cuffs and waistband. Front pouch pocket.